Wait for the salmon bites on Trinity Lake. A nice pair of Trinity Lake King salmon for todays clients! 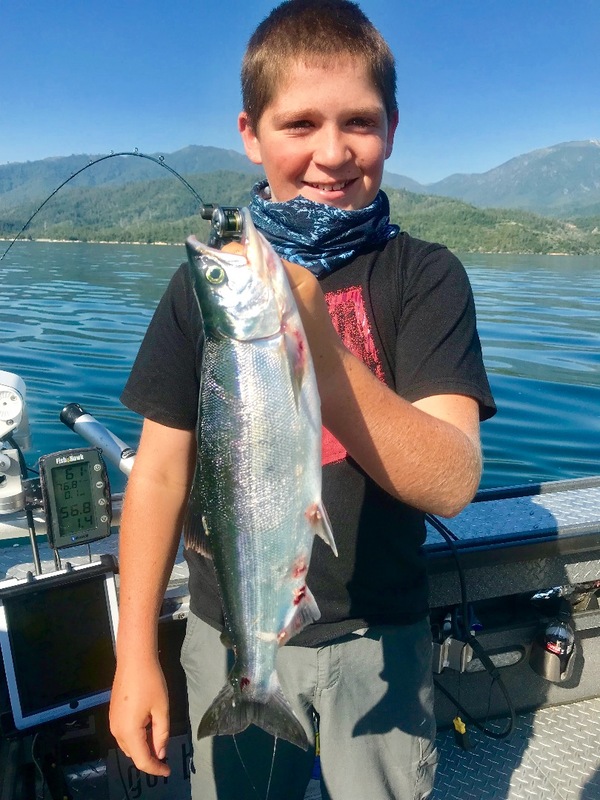 Today we fished Trinity Lake and were focused on hooking some King salmon. 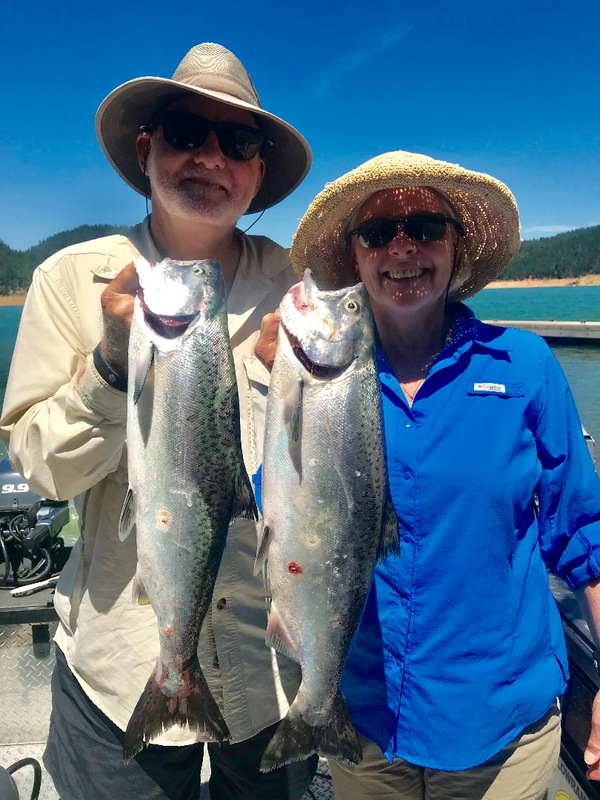 You have to work for them in Trinity this time of the year, but if you are patient, sometimes you'll head back to the dock with a few nice fish. 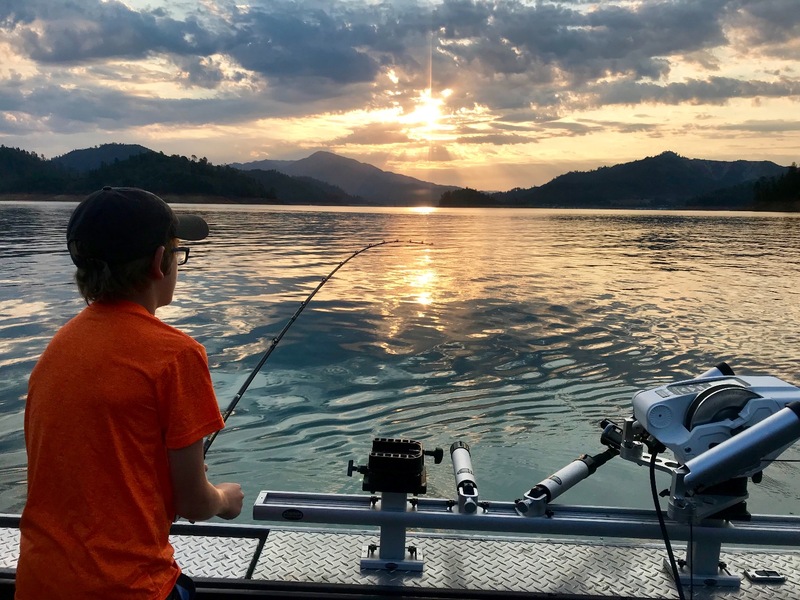 What Trinity Lake lacks in King numbers, its makes up for in their size. Trinity hasn't seen a plant of Kings in a few years, but the 3 and 4 year old fish are running around 3-9 lbs making them well worth the effort. I've only had a few trips up there this year where we didnt see any King bites, but some of those trips were short. A lot of my bites come at random times of the day, but most are either right away or in the afternoon. We usually see a little bit of trout action, but its not a fast action bite in that area either. The Kokanee are small this season so I havent spent too much time chasing them. 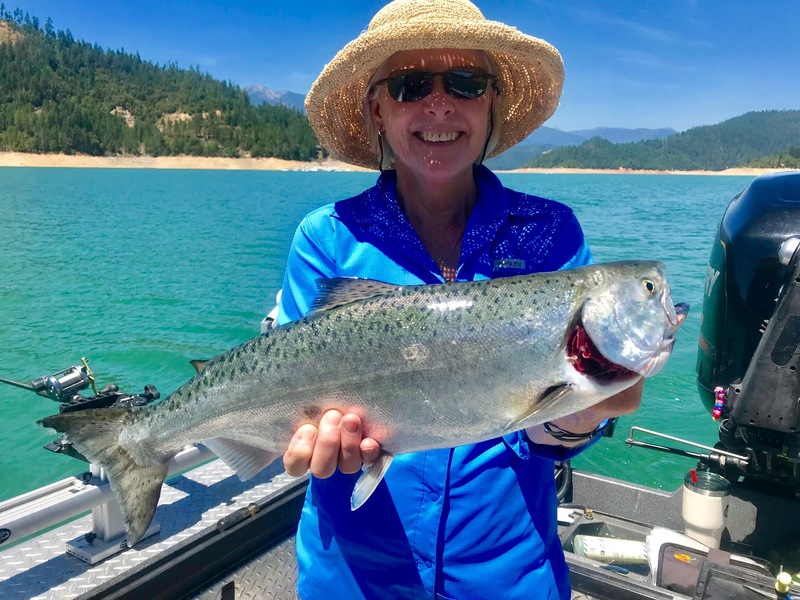 The King fishery on Trinity will remain a viable option thru fall and you can be sure that I'll be out hunting them down until we switch to Shasta Lake brown trout in November. 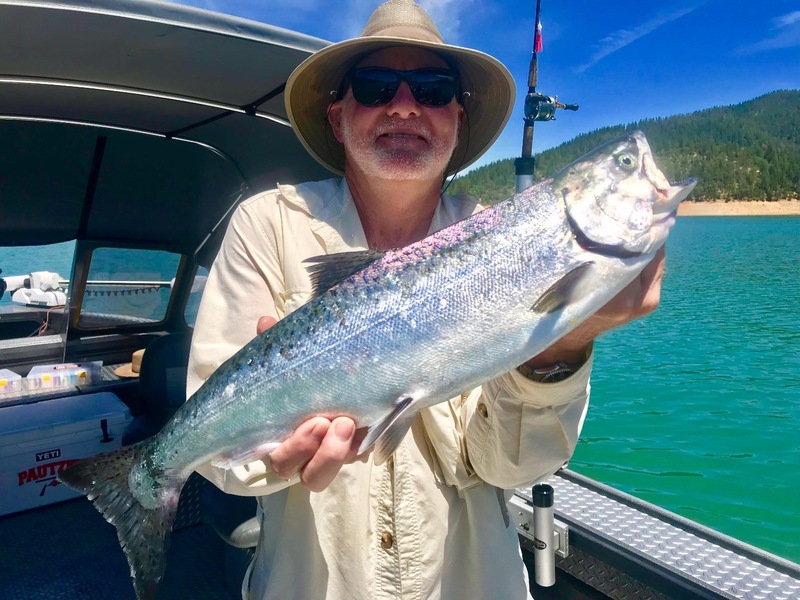 Steady trout bite continues on Shasta!